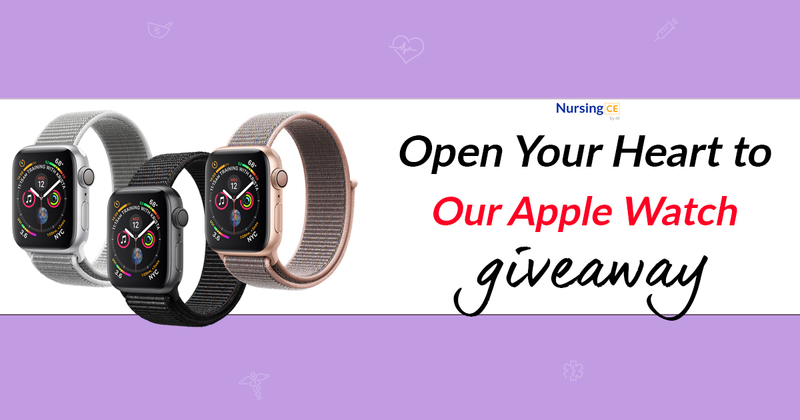 Nurses, Nurse Educators and Nursing Students...welcome to our next giveaway! 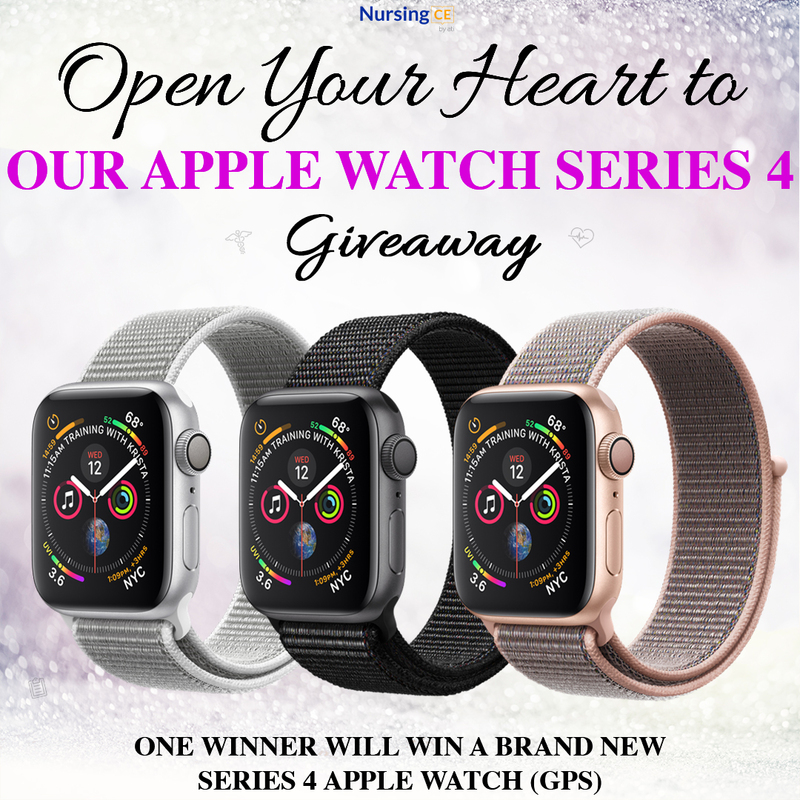 In honor of American Heart Month, we wanted to give away a special item - the new Apple Watch Series 4. As Apple has put it, the Apple Watch Series 4 inspires you to live a healthier life by helping you manage everything from everyday stress to calories burned. At the same time, it monitors your heart rate and lets you know if it detects something of concern. And that sense of security now goes a step further with fall detection and Emergency SOS." So we want to make sure that one of you get the opportunity to test out these new tech development!